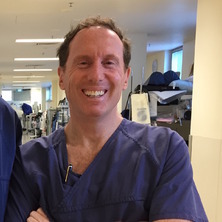 Dr Clark is a visiting colorectal surgeon at the Royal Brisbane and Women’s Hospital. He qualified from the University of QLD, trained in surgery in Brisbane, and undertook colorectal fellowships in the United Kingdom. He was admitted as a Fellow of the Royal College of Surgeons at Edinburgh in January 2002. He is a Senior Lecturer for the University of QLD and runs a busy clinical practice at the Holy Spirit Northside Private Hospital. He has a strong interest in inflammatory bowel disease and the IBD Unit at the RBWH has an active academic program. Dr Clark has presented internationally in the field of IBD and minimally invasive colorectal surgery. The colorectal unit based at the RBWH has a commitment to education and runs a regular laparoscopic colorectal training course and now supports 3 colorectal fellows and a research co-ordinator. He is the local training supervisor for the CSSANZ Training Board and the recent convenor for the Society and Section scientific meetings. Brisbane is renowned for laparoscopic colorectal surgery and training and teaching are a passion. Teaching colorectal surgery in the laparoscopic era; Is it safe? Patrick, D., Ballard, E., O'Rourke, P., Hanigan, K., Simms, L., Irwin, J., Cheng, R., Clark, D. A., Appleyard, M., Howlett, M. and Radford-Smith, G. L. (2016). Colectomy rates in regional transfer versus metropolitan patients with severe ulcerative colitis. In: Journal of Gastroenterology and Hepatology. , , (144-144). .